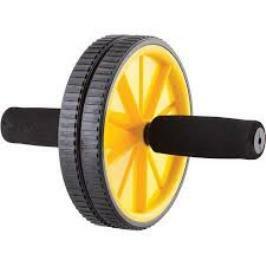 An ab wheel is an amazing device that allows you to perform amazing exercises. However, this device is designed for just one group of muscles, but it has a smaller effect on other muscles as well. In any case, it is treated as the best device for home use, and it can be used by every single person. In addition, ab wheel is an affordable device and there are a lot of different models on the market. That’s why it is one of the most popular pieces of equipment for home use. Even better, there are a lot of exercises you can perform with it. Some of them are designed for a total core training and they are more important than you may believe. This is the most simple ab wheel exercise you can get. All you need to do is to start a position while your knees are on the ground and use the ab wheel. When you reach the end move, go into the starting position. Perform this exercise until you reach 12 repetitions and you can complete 3 sets. After that, you can start with a more advanced exercise where you will perform this while standing. Rest for one minute after each set. Place your hands on the handles of the ab wheel and place your body in a straight position. Then slide the ab wheel forwards, until you can and then slit it backwards, below your torso. This is an advanced exercise and it is treated as one of the harder exercises of this type. Perform 12 repetitions and 3 sets, but rest for one minute after each set. This exercise is simple, but it may be hard as well. At the same time, you are going to need a decline crunch bench, or you will have to improvise. For example, you can place a wooden board across the steps and you will get the same effect. The exercise in question is very simple and all you need to do is to use your ab wheel correctly. You can start with 10 repetitions and build your way up, until you reach the highest number possible. The number of repetitions depends on your capabilities, but reaching 3-4 reps is more than just great. In addition, rest for 60 seconds or longer after each set. This exercise is the same as the previous one. The main difference is the fact your legs are bent. The procedure and the number of the repetitions and sets are the same, so use them. This exercise may be harder for some people, who have non-developed muscles, so it isn’t the best exercise for beginners, but after some time, you will be able to perform it perfectly. In any case, it is more than just effective and it has a positive effect on the entire torso.